This special issue will explore the physical environment that shapes the character and quality of wine, ranging from geology and soils to viticulture and climate. It will also discuss some of the technological advances such as drones, remote sensing, and precision agriculture, that are revolutionizing the production of fine wine. The French have a word for all aspects of the wine environment, terroir, and this special issue of Elements will explain to a general audience the modern understanding of terroir. It is common, although usually incorrect, to point to a single factor as the explanation: “It’s the soil.” “It’s the water.” “It’s the limestone.” Terroir is the integration of all individual factors that contribute to wine quality, and this is appropriately summarized by the phrase “in vino veritas”. Comets are regarded as probably the most primitive of solar system objects, preserving a record of the materials from which the solar system aggregated. Key amongst their components are organic compounds – molecules that may trace their heritage to the interstellar medium from which the protosolar nebula eventually emerged. The most recent cometary space mission, Rosetta, carried instruments designed to characterize, in unprecedented detail, the organic species in comet 67P/Churyumov–Gerasimenko (67P). Rosetta was the first mission to match orbits with a comet and follow its evolution over time, and also the first mission to land scientific instruments on a comet surface. 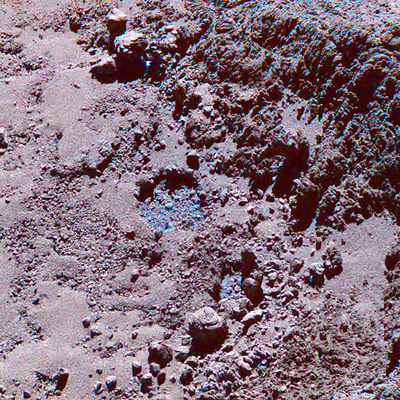 Results from the mission revealed a greater variety of molecules than previously identified and indicated that 67P contained both primitive and processed organic entities. Organic molecules and volatiles (e.g. H2O, CO, CO2) are the major components of comets. 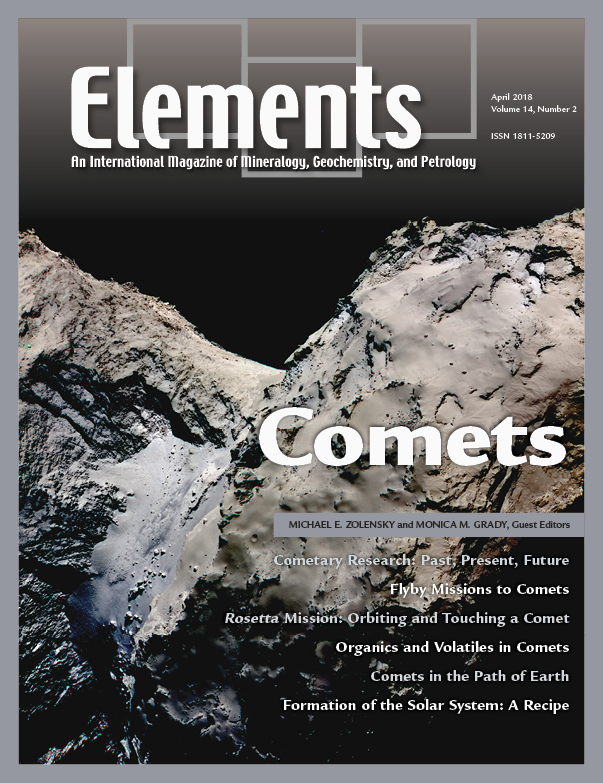 The majority of the organic compounds found within comets were produced by ice irradiation in dense molecular clouds and in the protoplanetary disk prior to comet formation. 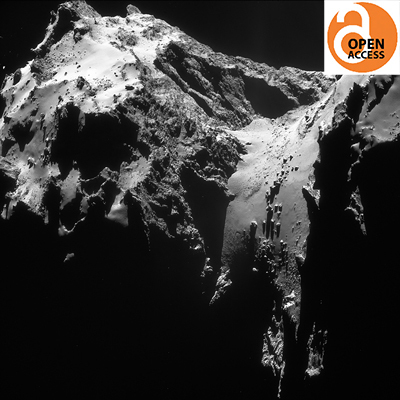 Comets are essentially repositories of protocometary material. As a result, comets do not show the clear trends in chemical and isotopic compositions that would be expected from our understanding of their formation locations. 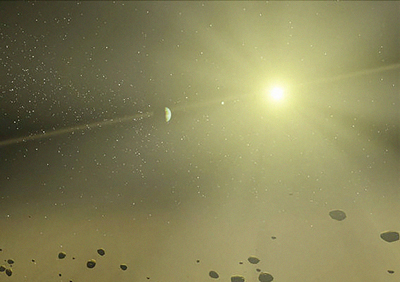 Rather, comets record chemical evolution in the protoplanetary disk and allow us to unveil the formation history of the organics and volatiles. 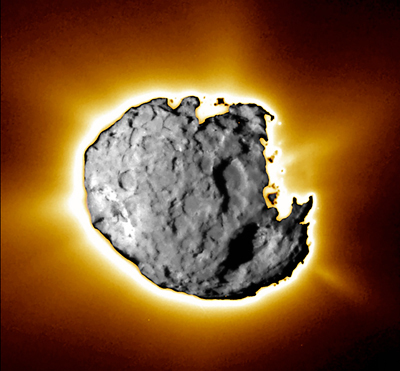 Earth’s atmosphere offers little protection against comet impacts, because many comets are bigger than 1 km. 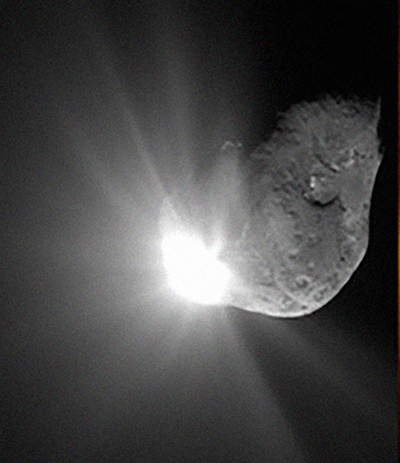 Fewer comets hit Earth than asteroids of the same size, except perhaps for sizes larger than 10 km. 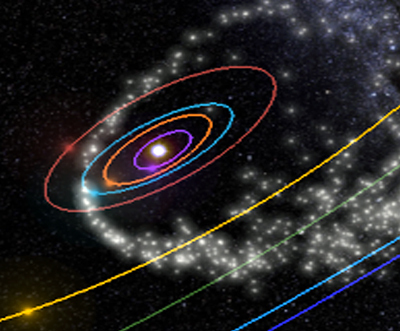 Comets release copious amounts of solid debris called meteoroids, and these meteoroids disperse to form meteoroid streams, some of which cause meteor showers on Earth. Recent meteor shower observations reveal the presence of potentially dangerous parent comets and trace their dynamical evolution. In addition, some showers leave a signature of “cosmic dust” in our atmosphere. This paper summarises the recipe – the raw and processed ingredients plus some of the processes – behind making our solar system 4,600 million years ago. Like a gourmand recipe, the solar system formed from many disparate ingredients, many of these ingredients themselves being the products of complex processes. Thus, to create the habitable solar system we see today required extensive work and processing. However, unlike a food recipe, much of how this happened is poorly understood, although a combination of new observations and analysis is ensuring that progress continues to be made.